With more than 35 works of art scattered across the 40 Acres, UT is basically a campus-wide art gallery. 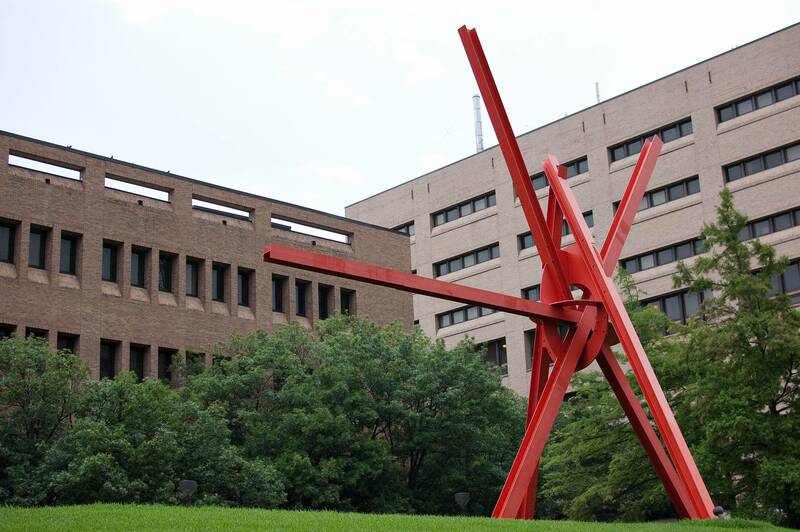 The University’s public art program, Landmarks, has brought works of modern and contemporary art to campus over the years. Whether you’re a student or visiting campus for the day, here are four must-see creations. On a grassy patch alongside Dean Keeton Street, red steel protrudes over 40 feet into the air. 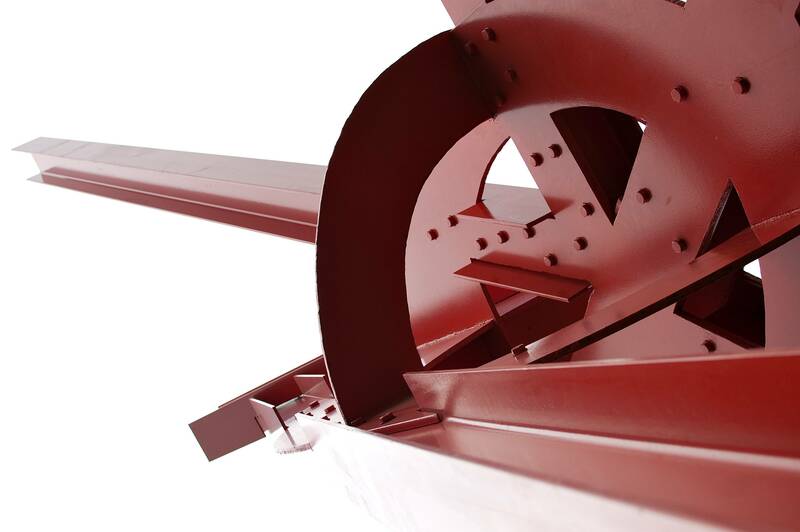 Sculptor Mark di Suvero’s The Clock Knot arrived on campus in 2007. In 1960, an elevator accident left di Suvero paralyzed, but, during recovery, he remained involved with art. He learned to use a crane and became interested in space and steel beams. 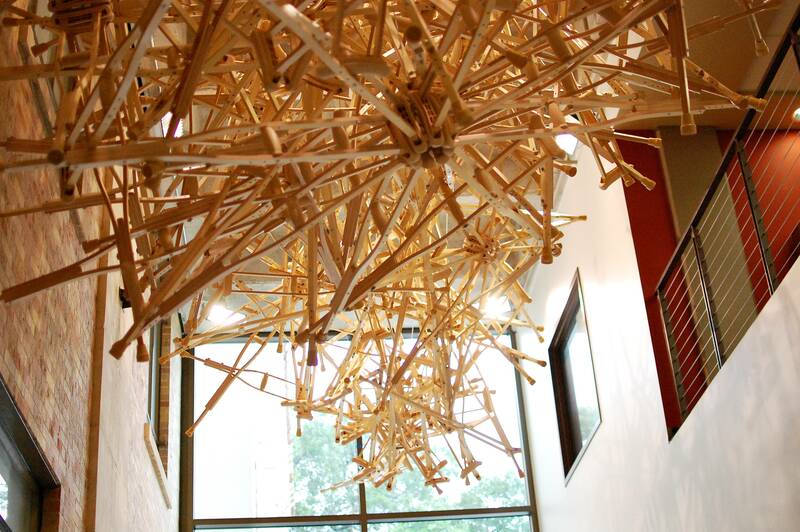 The piece’s multiple jutting beams provide different views from every angle. The circular center resembles a clock face from one point of view, but, as you move around the sculpture, it appears to change shape entirely. 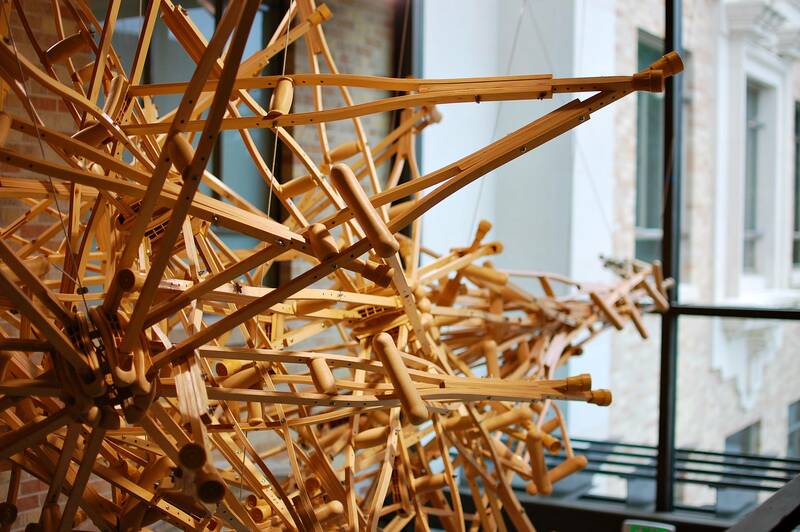 Viewers can admire the creation from afar or walk around and under the work. 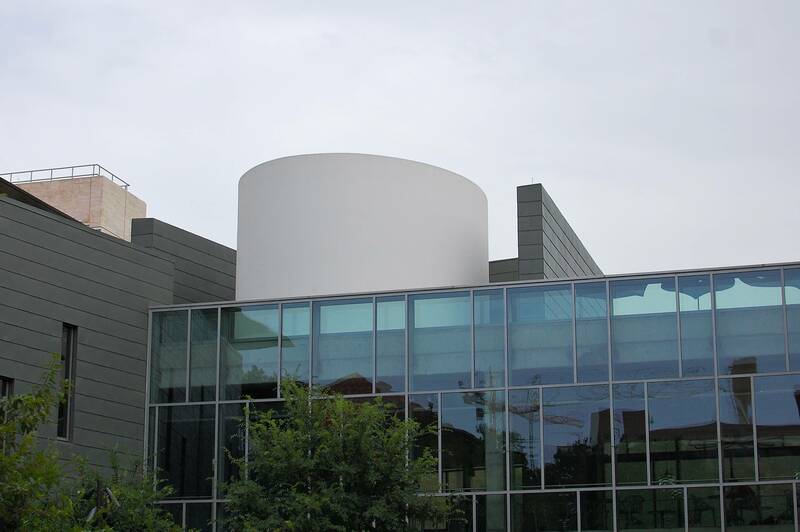 Although this Skyspace is hidden from view on street level, visitors can access the creation by elevator or stairs on the third floor of the SAC. This is artist James Turrell’s 84th Skyspace creation and one of 12 open to the public in the United States. 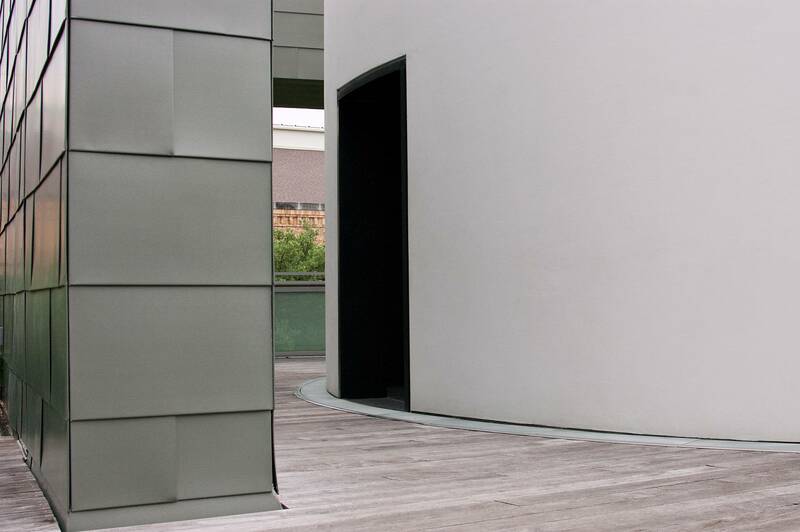 A round white building of basalt and plaster sits in the middle of the building’s rooftop garden. Inside, a hole is cut in the ceiling called an oculus that causes light to project onto the walls. Viewers can sit inside and enjoy the quiet atmosphere during the day or view the colored light sequences during sunrise and sunset that last about an hour. Variances in sunlight and weather change the experience, and the space fits about 25 people. 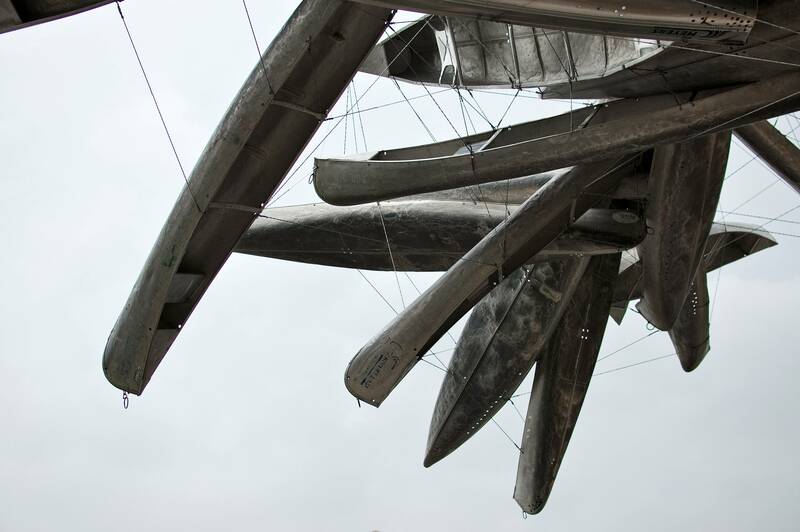 Seventy recycled aluminum canoes and small boats burst from the corner of 24th Street and Speedway. Monochrome for Austin joined the UT community in 2015, taking boats away from their normal water-filled backdrops and into the air. 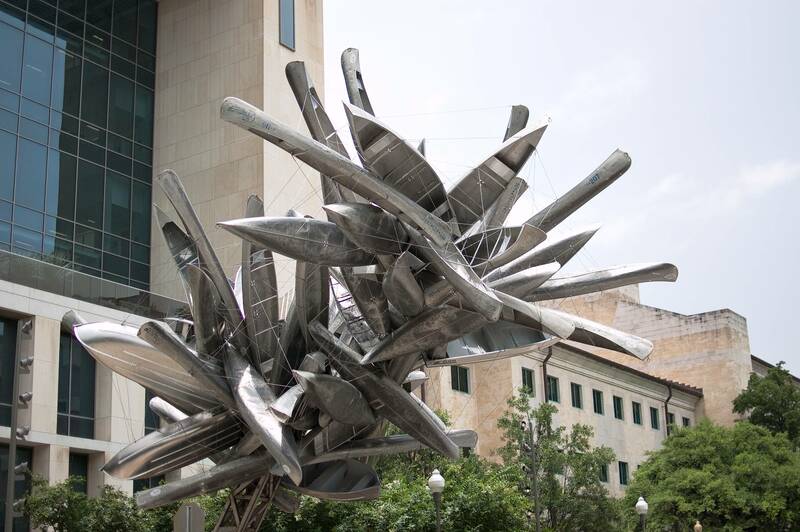 The explosion of silver canoes seems to defy gravity, similar to many of artist Nancy Rubins’s creations. Her past works incorporate large objects such as trailer homes, water heaters, fighter jet wings and fuselages. In the mid-1990s, Rubins began putting together brightly colored canoes and kayaks into large formations. Monochrome for Austin, which rises over 50 feet into the air, is part of Rubins’s Monochrome series that can be found in places such as New York, Illinois and France.